Find the best deals on excellent Brice Champagne. Compare current UK prices and use our exclusive voucher codes. Look at Price History charts, awards & reviews to find the right balance between quality & price. 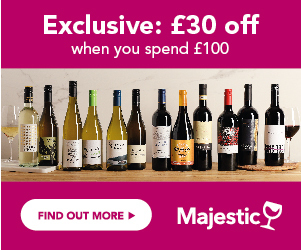 Sign up to Price Alerts and we will notify you when your favourite bottle goes on sale. The Brice family is well known by champagne aficionados for being THE specialist of Grand Cru. The house headed today by brothers Jean-Rene and Remi has a “no-nonsense” approach to wine making and strive to reveal the true nature of the Terroir of four villages that are Ay, Bouzy, Cramant and Verzenay. Their vintage 2002 is rich and powerful and has been listed in the finest restaurants in the world and notably at the Fat Duck where it was served by the glass. It is a house with strong character that we encourage you to discover.